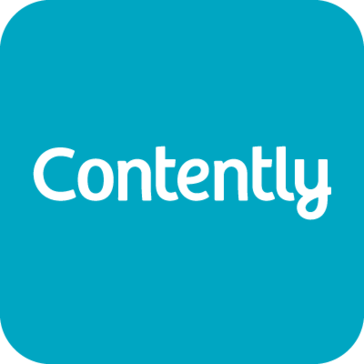 Contently helps companies build loyal audiences by managing the workflow of premium content at scale. "Love the body, hate the header"
This site is an amazing tool for journalists who want to display a portfolio. It’s especially great because it is free. Stories are laid out in a crisp, clean format and look fantastic. I’ve had no business problems. I have realized that it is a great way to link my work so that freelance hires can view it. "Interesting features, nice work flow management, but..."
The tone feature was interesting, but no way to adjust. It read my tone the same the each piece i wrote. My work has to often discuss trends that negatively impact businesses, and need to speak from a position of authority. It always said I was an arrogant writer. The content editor. If you are actually writing in the tool, it had a number of bugs when I was using it. The autosave feature was not reliable, editing and commenting simultaneously was nearly impossible, so it hinder collaboration. If someone commented on a sentence and you wanted to edit while still viewing the content, you were out of luck. You have to turn off the comments to edit. Makes no sense. We discontinued use for several reasons. We no longer were doing the same level of content in house, and only used part of the features. Work flow and collaboration issues. We only used it internally, so pitches and prices weren't really utilized. Nice workflow and helps with planning large numbers of content pieces. High level of service from their account managers, writers and editors. Their management. We pre-paid a large sum for the year, and due to needs of our business, we were forced to cancel services. The Contently exec we spoke to was very aggressive during cancellation discussions, and tried to push us into using services we no longer require. And now, after waiting a month for the refund, they say they won't issue a refund until the annual contract expires. Unusual policies for a business with many viable competitors. "Good as an online portfolio"
The interface is easy to use, and you can upload all your freelance work and samples to your profile. This is helpful because then you can share your profile link as a portfolio. Since the freelance service is relatively new, there are not a lot of new client opportunities. Don't rely on it as your sole source of new clients, but it can be helpful in organizing your existing portfolio. I use Contently to expand my client base. It's been helpful in seeing potential opportunities. "Time Your Follow-Up Calls, Perfectly"
Unlike the unreliability of email tracking, I know exactly when exactly when a recipient of a marketing piece or a quote has opened it up and looked at it. Email opens aren't a good indicator of whether or not someone has taken the time to read an email. With docalytics, I know exactly when someone has looked at my document, how long they've looked at it, if they opened it on a desktop or a mobile device, where they were when they opened it, and what parts of the document caught their attention the most (through heat mapping). Since I get an immediate notice that they've been looking at a marketing paper or a quote I've sent them, I can time my follow-up call while the iron is still hot. It can get a bit confusing how to arrive at the right analytics. I sometimes find myself clicking on links I thought would deliver one type of analysis, only to find it provided another. So, they still need to refine the intuitiveness of the system. One, they deliver. Two, they're great to work with, and very responsive to support issues. Three, they sincerely listen to suggestions on how to make their product better, and have even implemented some that served our needs better. Accurate delivery of open data for marketing materials and RFP responses. "A valuable -- and expensive -- resource"
The speed with which I can deploy writers and content producers is fairly remarkable. The ability to pay content producers through the system relieves a ton of headaches. The writers are average to above-average. The calendaring tool is a great way to organize projects internally. The cost is prohibitive for all but my biggest clients. I wish there was a way to separate writers and content producers in to "quality tiers." As it stands, everyone is lumped together. I'd be willing to pay more, for example, for someone who's written for top-tier publications. Make sure to thoroughly review a creator's portfolio before committing to work with him/her. Users' final work product may have been heavily edited. Try to negotiate lower rates based on number of users in your network or the number of clients you have on the system. Our clients have a variety of digital publishing needs. Some publish 80 pieces of content a week, some publish 4 a month. Some focus on deep tech, others on consumer goods. Contently allows me to find and manage appropriate creators for all projects. "Contently is a useful tool for freelance writer"
That it was very simple to set up my account. I like the clean look of my page, it looks very modern and also is easy to navigate. I also was surprised by the section that showed how many shares or likes my articles had, that is a great addition. I really like that photos show up next to my articles too. As a freelance writer I wanted to be able to share my own work but didn't want to have to create my own website from scratch by myself. Contently solved that problem for me. Also, I actually was hired for a few writing jobs because someone found me on Contently, or I was able to send them a link of my work for them to review easily. "Docalytics is the best platform for proving content marketing ROI"
Docalytics delivered two really great benefits to me as a content marketer: it shows me which prospects are engaging with certain pieces of content, so that conversations with prospects can be more relevant, and when prospects become a customer, ROI can be credited to the content for "nudging" them along. The 2nd amazing benefit of Docalytics is that it shows me the aggregate performance of my content, so I can start to make data-driven decisions about how to improve it in the future. This has helped me decide to shorten my eBooks, and provide more tactical graphics and charts, which led to a significant improvement in form fills and time spent with the content by prospects. Now that the Marketo integration is completed there is really nothing not to like. For content marketers and demand gen folks who are still using Marketo to host eBooks and whitepapers, I suggest you switch to Docalytics immediately. Docalytics is a game-changer in terms of providing actionable data to improve content performance and show ROI. I was able to show that a piece of content that cost ~$5k ($3k research & writing, $2k design) delivered a 6X ROI within 60 days of publishing. With the proliferation of marketing automation content marketing and lead generation may have become 'easier' but it has led to 2 problems: 1 - content is consumed more rapidly, and keeping up with demands for fresh and engaging content is a daily struggle and 2 - it is becoming too easy for the important individual details of each interaction to be lost - as we are more and more using frameworks and scoring algorithms to categorize and follow up on the high volume of leads coming in, which can whitewash over the intricacies that help with a consultative sales approach. Docalytics changes this by capturing the story behind the interaction, giving deeper insight every time your content is read, and building a compound picture of the prospect and their journey. They also have a view that focuses on the content as the epicenter of the interaction, not the lead. This may seem a small detail - but when you can pinpoint exactly which piece of your content is having a positive impact, and exactly how you can increase this effect - the Docalytics platform creates a cycle of continuous improvement based on concrete performance-based evidence; in an area that has all too often been dependent on gut feel and anecdotal evidence to direct marketing content budget, this is a game changer. We solved 2 problems we had identified - We were having trouble identifying the hottest prospects and aligning resources most efficiently for followup, this is now moot. In addition we were ramping the rate of our content production, but without any metrics, measurements or real insight into effectiveness - now we have actionable intelligence on our content and are producing higher quality pieces, with better interactions and seeing huge ROI. "Saw a 63% increase in web leads from our ebooks"
Docalytics has helped us understand how prospects are interacting with our content and then make improvements that keep them engaged. We've also noticed that their embedded web forms have been more successful than traditional lead capture forms. Would be nice if their analytics would keep track of the specific dates when you made changes to the lead forms or documents. This might make testing a bit easier. Other than this small change I can't think of anything else. I'd suggest that you experiment with their progressive web forms and add form field to more than 1 section of your documents. Their team gave us a great idea about capturing additional data that was relevant to the page being viewed. For example, one of the pages in our ebooks talked about new ways to leverage email marketing. Using a form field on this page, we were able to capture data about whether the person was currently using any email tools. This helped improve the lead quality without negatively affecting our conversion. We were averaging only 31% conversion on our content and were losing a lot of web visitors without really knowing why. Docalytics gave us some surprising insights about which pages on our ebooks and case studies were most (and least) engaging. By leveraging this information we were able to increase our conversion rate to 49% in just a few weeks. We estimate this will drive an additional 3000 leads this year that we would have missed. "Very good experience -- extremely useful product"
As a marketer I can upload a large number of documents, keep control of them, and easily get them to salespeople and prospects. I also get data on which docs are being used/read/engaged with. Very valuable. Really no complaints. The interface could be a little faster, but it's a minor complaint. "Docalytics is good - use it." I like the marketing application, especially since it allows me to conduct enhanced lead capture activities. It really helps me qualify prospects better than just a simple "yes, they downloaded' or "no, they didn't" Docalytics offers a lot more nuance for marketers. The only thing I really dislike is that there isn't a docalytics for video. For documents, it's amazing! Check it out if you do content marketing. Trying to make sure we get quality lead capture, and to understand the impact of our marketing activities - particularly content marketing, which is pricey (as we all know). I didn't see the huge advantage, given we use Pardot to store collateral and can share word documents for blog posts. It helps organize everything within a calendar. "Interesting content analytics; helpful service"
As a content marketer, it's great to have access to new analytics about how users are interacting with our content. We are still in a pilot, so I'm continuing to learn more about Docalytics. We're using Docalytics to help understand how much of our content people actually read, and what parts of our content they're most engaged with. I like the benefit of being able to move lead forms around to test how that affects conversion rate. Ultimately I hope this helps us create better content and get better conversion rates. The Docalytics team answers questions quickly and is very helpful. "Freelancer using it as a portfolio"
The attractive interface and the way that your shares and likes are displayed below each article. There's no way to organize content. If you have several different types of work, it all is displayed on the same page. It's great for a basic portfolio but if you have a wide range of work you'll want your own website to categorize. I use contently as a portfolio to obtain jobs and clients. It's been a very easy way to share my work with an audience. Not only do we now have a repository of those engaging with our content, we can see how much they engage, and which parts of the document are generating interest. Nothing yet. I suppose automated push reports would be an improvement. We launched a new website about 10 months ago, utilizing Docalytics for our resources. The platform has helped us better evaluate the success of the launch, by showing us the level of engagement with our content. I couldn't imagine living without it now. Simple simple simple. Ability to track who's actually reading what has tons of value, and it was very easy to get going. Nice work team! So far so good! Easy to set up and use, support has been positive. Efficiency. It tells me when someone has interacted with the content I send them, and I can follow up right away. Very cool, very helpful. * We monitor all Contently reviews to prevent fraudulent reviews and keep review quality high. We do not post reviews by company employees or direct competitors. Validated reviews require the user to submit a screenshot of the product containing their user ID, in order to verify a user is an actual user of the product. Hi there! Are you looking to implement a solution like Contently?